After Reading This, You’ll Never Throw Onion Peels Again ! 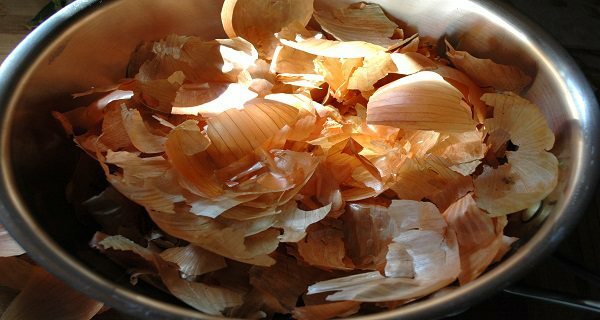 Home » Health » truth » After Reading This, You’ll Never Throw Onion Peels Again ! Most people are unaware that the skins and peels of many fruits and vegetables are full of antioxidants and other beneficial nutrients that boost your health on many different levels. In our ignorance, we often dispose of the most health-beneficial parts in a fruit or vegetable. One such case is with onion skin. Although inedible, onion skin is abundant in quercetin, a powerful antioxidant that regulates blood pressure and prevents cardiovascular diseases, including arteriosclerosis. If you added onion skin in any of your regular meals, such as your sauté, soup or stew, you’d be fortifying your meal with thispotent antioxidant as well as several other useful nutrients. To start with, onion is one the most health-beneficial vegetables on the planet, generally known and praised for their strong antibacterial properties. Onions are also highly efficient in balancing blood sugar levels, stopping nosebleeds, triggering apoptosis of cancer cell (cell death), and supplying the immune system with an abundance of vitamin C.
As opposed to yellow onions, red ones contain even higher amounts of quercetin, a bioflavonoid that is especially beneficial for destroying free radicals in the body. Apart from being a powerful antioxidant, quercetin also has strong cancer fighting, anti-fungal, anti-bacterial, and anti-inflammatory properties. A number of studies have confirmed that it effectively prevents and controlls the formation of intestinal polyps, fights viruses, treats psoriasis, and stops the growth of viruses, such as the herpes simplex virus, which causes cold sores. Last, but not least, red onions have been linked to a reduced risk of stomach cancer. As found in one study, just half an onion a day could cut the risk of stomach cancer by half. According to a study carried out by scientists from Cranfield University, UK, published in the journal Plant Foods for Human Nutrition, the brown onion skin can be used as an ingredient high in dietary fibre, mostly the non-soluble type, as well as phenolic compounds, such as quercetin and other flavonoids. It’s important to know that the two outer fleshy layers of the onion are also rich in fibre and flavonoids. On the other hand, phenolic compounds effectively prevent coronary disease and have anti-carcinogenic properties. The high amounts of these nutrients in the dry skin and the outer layers of the bulbs account for their powerful antioxidant capacity. To extract quercetin and other health-boosting plant compounds that onions skins contain, simply add a whole onion or two (unpeeled), into the pot next time you make soup, or a stew into the crock pot, or cook rice. Optionally, you could save the outer onion scales in a paper bag. Before you start cooking, loosely tie up a handful of onion skins in a cut-off leg of an old pantyhose or a thin sock. Boil this with your soup or stew and dispose of the skins once the soup has simmered or the rice has cooked. Wash and save the thin sock for another use. Apart from fortifying your meal with powerful antioxidants, onion skins will give your broth a rich brown or deep mahogany color, depending on the onion you use – yellow or red.